You deserve the latest and greatest technology to enhance your patient experience. Dr. Zolinski and his team make use of the most up-to-date tools and techniques to provide you with faster, more efficient care, and above all, to keep you comfortable. 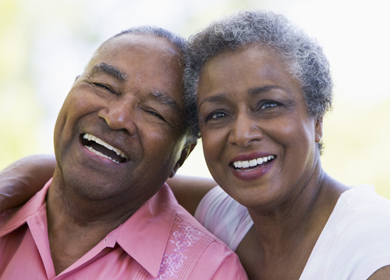 Enjoy the benefits of a cutting-edge dental home! Enjoy dentistry’s latest technology with Dr. Zolinski, including the Biolase® water laser and the Biolase® gum laser. Biolase technology aids in treatments for gum disease, cavities and biopsies, as well as during delicate procedures like cosmetic gum lifts. You will smile ― not just because your smile looks fantastic, but also because of the level of comfort you experienced during treatment and your reduced recovery time. Experience two technological innovations in one with Waterlase™, a device that combines laser energy and water into a dental tool that works without heat, pressure or vibration. Essentially a laser-energized spray of water, Waterlase™ is used by Dr. Zolinski in a wide array of procedures. Enjoy an experience with less discomfort and less need for anesthesia. Digital radiographs offer an instantaneous picture for Dr. Zolinski and protect you from excess radiation. This is another example of the technology available to you at the office of Dr. Zolinski that adds to your comfort and convenience. Snoring is an unfortunate habit. Not only does it disturb those around you, but it can be a sign of more serious health conditions, like sleep apnea. Understanding the mechanism of snoring helps explain why. When the soft palate of the mouth relaxes to the point of obstructing your airway, the result is snoring. And when that obstruction actually keeps you from breathing for several seconds or more, you experience sleep apnea. This condition can be very dangerous and must be treated. Dr. Zolinski is in a unique position as your dentist to help diagnose and treat your sleep disorders, and he may be able to provide relief in a snore appliance. By gently holding your airway open, a snore appliance allows you to breath normally and protects you from the risks of sleep apnea. If you or a loved one snores, talk to Dr. Zolinski today. Early detection is the key to successful treatment in all aspects of your health. Dental caries are no exception. To aid in finding small cavities when they are first forming, Dr. Zolinski trusts the DIAGNOdent® – a small portable laser unit. When cavities are in the very early stages and can be missed by other detection methods, DIAGNOdent® can help your dentist correct the problem before it progresses. With an intraoral camera, you can see what the dentist sees. While you follow along on a monitor or iPad, Dr. Zolinski can use this innovative technology to show you exactly what’s going on inside your mouth. With a greater knowledge of your oral health, you’ll be in a position to make more informed decisions regarding your care. Digital photography gives Dr. Zolinski instant images to track your progress. With the ability to save digital images electronically, they are a more efficient alternative to traditional photographs. DR. ZOLINSKI’S BUSINESS TEAM AIMS TO MAKE THE FINANCIAL SIDE OF YOUR CARE AS COMFORTABLE AS POSSIBLE.